What is your ideal Moab adventure? Is it anticipating the rush of class V whitewater, or simply stepping foot in a raft for a calm water float? Rappelling deep into remote canyons, or lacing up your hiking boots and exploring those canyons on foot? Moseying through red rock valleys on horseback, or fastening your seatbelt for an incredible scenic drive? Adventure means something different to everyone. 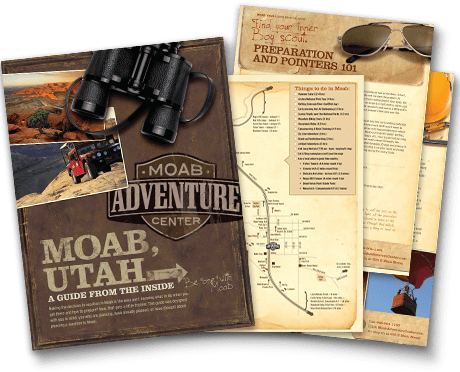 Fortunately, no matter what your definition is, Moab has adventure in spades! Everyone appreciates a good sunrise. 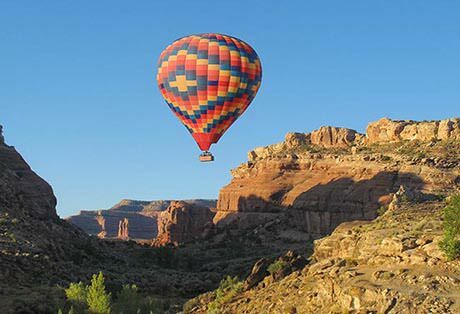 However, once you board the basket of a hot air balloon and become part of the backdrop as the sun brings in a new day from high above towering red rock plateaus, you may be ruined on regular sunrises forever. Man has always had a fascination with flying. There’s no reason why you should be excluded from this obsession. Especially when the scenery below is too remarkable to describe. Let the comfort of the plane and the skill of the lull you into your peaceful place as you soar over some of nature’s most impressive landmarks. There’s something magnetic about red rock canyons, cliffs, spires, and boulders. We just can’t resist, scrambling around, climbing on, and exploring in them. 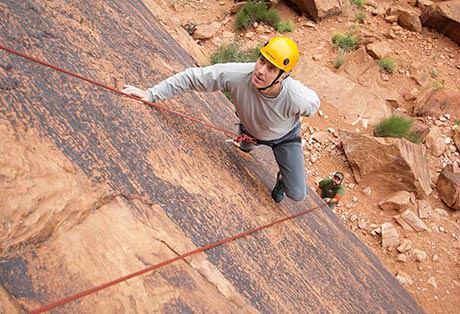 There’s no truer way to accept the challenge Moab’s fascinating, colorful sandstone presents than by harnessing up and joining one of our rock climbing or canyoneering adventures. It’s a physical challenge, it’s a mental exercise, it’s family bonding, and it’s team building. It’s definitely out of your comfort zone, it’s a valuable learning experience, and it’s a total blast. 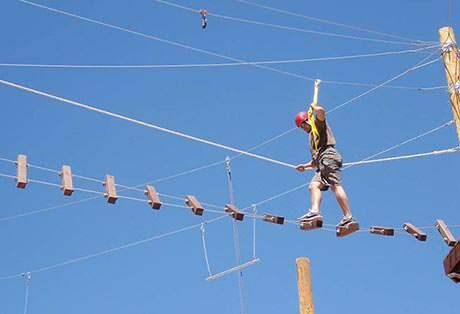 Moab’s high ropes adventure is whatever you need it to be, plus so much more. 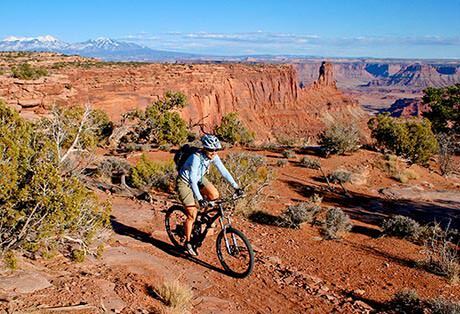 Moab and Mountain biking are practically synonymous. For decades, Moab has been a siren call for mountain bikers far and wide. Perhaps the temptation is the unfathomable scenery, or the unique and varied terrain. Maybe, it’s due to the variety of trails and the offerings for all skill levels. Whatever it is, we think you should come and learn the appeal firsthand. 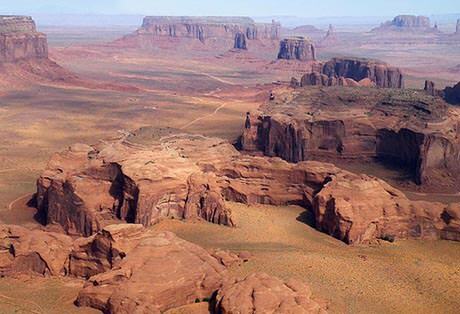 Moab is classic John Wayne, western movies, cowboys, and outlaws. 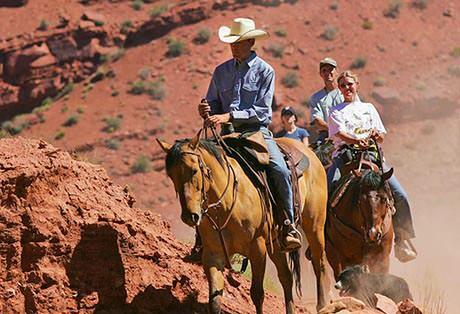 There are few ways to pay homage to an era that once defined Moab and the American West, but exploring the land on horseback would be a good way to start. Everybody’s doing it. That’s pretty much a true statement if you’re talking about zip lining. During the past couple decades, zip lining has become the vogue recreational activity. 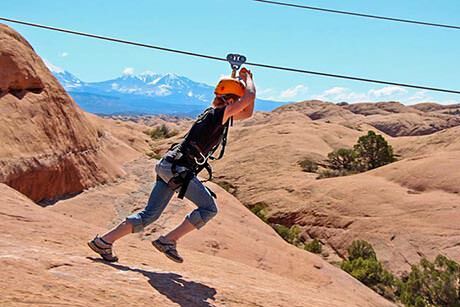 Not only is it a scream (literally and figuratively), it’s eco-friendly, it’s scenic, it’s thrilling and it’s happening in Moab.